Are you from a regional area and considering postgrad study with the Faculty of Medicine, Dentistry and Health Sciences? 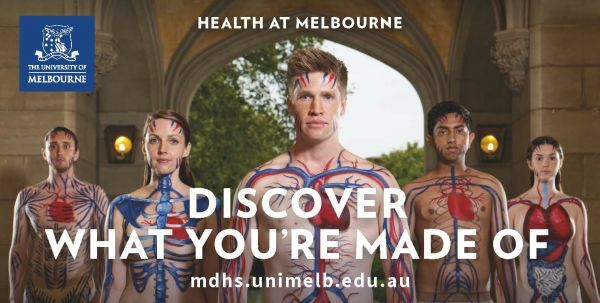 Whether you're currently living in the city or living in the Kimberley, if you've lived in a regional area for more than 5 years you could be eligible for UoM's special entry scheme, Graduate Access Melbourne. This can assist regional students to gain entry into MDHS' highly competitive courses and automatically consider you for scholarships and bursaries to assist with the transition back to study. So join us for a webinar to find out more about how you can change careers or continue studying beyond undergrad with a professional entry postgraduate degree in Medicine, Dentistry & the Health Sciences such as Nursing, Social Work, Speech Pathology and Audiology to name a few. We'll also have the Going Rural Health Team online to discuss rural placements and the financial support offered for participating. You will also have the opportunity to have your questions answered, so if you've been considering postgrad study in Medicine, Dentistry and Health Sciences then don't miss this session.